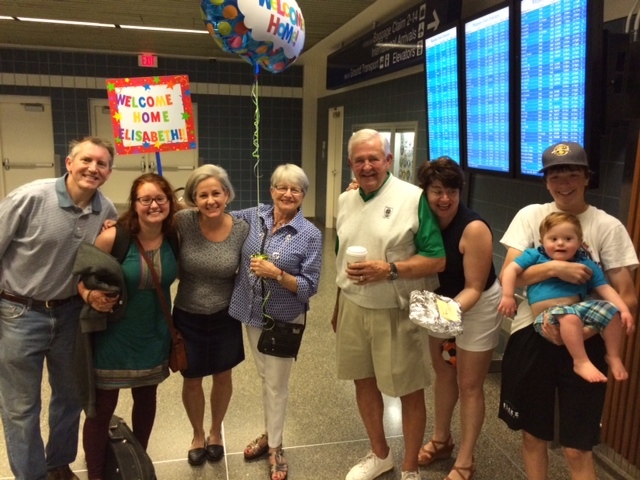 We couldn’t be happier to have Elisabeth safe and healthy and back home from India. And pretty fun that it was on the 70th anniversary of D Day. The reaction of probably half of the people whom we told about Elisabeth’s year in India was ‘Oh my God’ (either expressed with a gasp or through a pained facial expression). We understand that reaction, since that was our first reaction when she talked about going to India. But we believe that she had such a great learning and life experience in India for several reasons. First and most importantly, Elisabeth is a strong and amazing young woman who showed good judgment. Second, she was in an unbelievably colorful, chaotic, smart and dynamic country and she lived in the outstanding city of Pune (large at 6 million people, but very well educated, stable and less chaotic and safer than many large cities). Third, she was very fortunate to be surrounded by a wonderful group of people who provided a local family and support system — her three incredible Indian host families and the dozen other foreign exchange students (especially her pal Audrey and her Swedish beau, Hugo, who thankfully talked her out of getting a tattoo). Fourth, she was part of a well run and safe program by Rotary. Our family gives many thanks to the Rotary clubs and to all of those families and friends who supported her and helped keep her safe. What an experience! 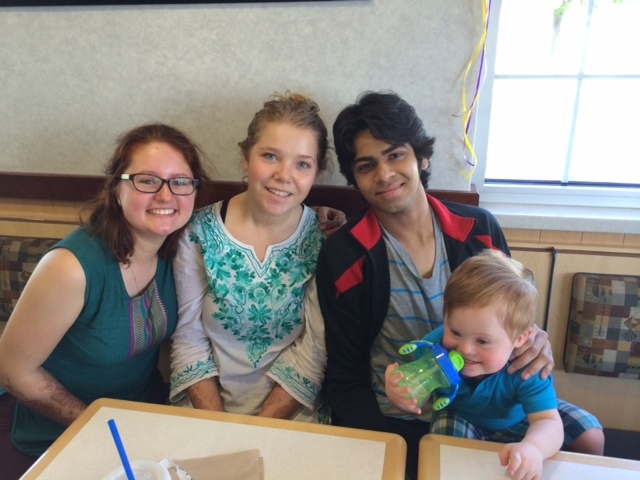 In the photo at top on the left is Elisabeth, Audrey (her good friend and fellow India exchange buddy), Adish Hirve (one of Elisa’s India host families’ sons, and who happened to spend the year in Owatonna, MN) and TRBL. In the photo at top on the right is the Lee welcome party at the airport. 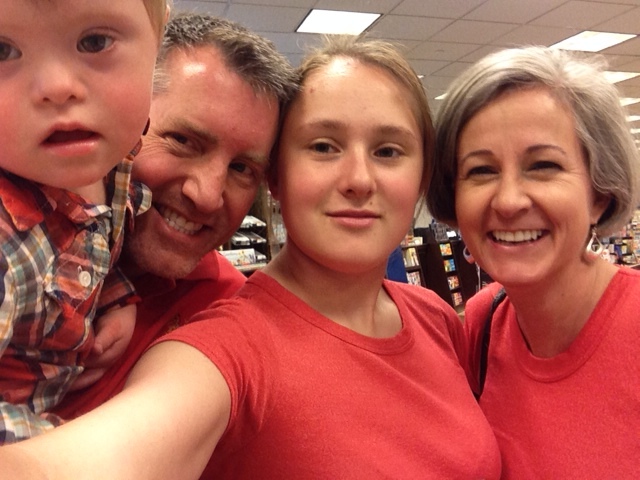 Note the lack of red clothing, which can be contrasted with last Sunday’s great moment in Catholic fashion (note: see prior post on Pentecost) ….. This entry was posted in India and tagged church, Elisabeth in India, Pentecost. Bookmark the permalink. Excellent update! Welcome home to your relieved family Elisabeth. I do have to applaud you for the adventurous nature and maturity it takes to do what you just did. You are truly an amazing family. Welcome home, Elizabeth! SO GLAD TO HAVE YOU HOME, ELISABETH!!!! !